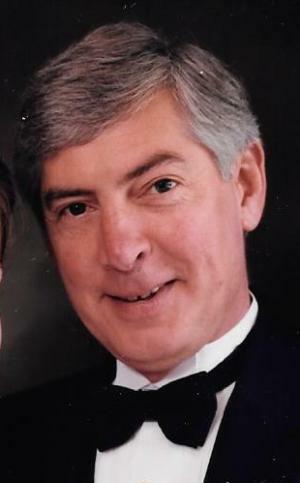 Obituary for Kenneth Ozro Crawford | Doolittle Funeral Service, Inc.
Kenneth O. Crawford of Tucson, Arizona passed away peacefully on February 5, 2019 in Cromwell, Connecticut with his family at his side. He was the husband of the late Deborah (Indino) Crawford. Born on June 26, 1944 in Hartford to Clifton and Mildred (Oleski) Crawford, he grew up in Hartford and Avon, graduating from Avon High School in 1962. He was an Avon Volunteer Fireman and attended University of Hartford. In 1966 he married Elizabeth Susan (Creehan). Joining the US Air Force, he proudly served as a flight instructor at Shaw AFB, Sumter SC, until 1971. He and Susan returned to CT settling in Avon to raise their family. His pride and joy were his three kids, Julie, Kenny and Lizzy, never missing a sporting or school event - on the sidelines, with his camera, or coaching in the Avon Little League. As President of the Avon Jaycees, he was integral to the pavilion project at Sycamore Hills Park. Ken had a successful career in the life insurance working with Connecticut Mutual, Great West Life and Pacific Mutual and shared many lunches at Zero’s or the Sonesta. Ken was an avid fisherman who loved to spend the day on his bass boat in CT’s best fishing holes, a favorite being East Twin Lake, Salisbury CT. In addition, he loved military aircraft, golf, travel and Misquamicut beach. He and Deb moved to Tucson to live among the desert and its mountains, spending time with friends and enjoying the live music scene. Ken made an annual cross country drive to spend summers in Cromwell and York, ME with his kids and grandkids. He loved to attend their activities, hear their stories, and join in on a round of golf, boat ride or day at the beach. He was a handyman for whom no project was too big - he was ready to lend a hand, always knowing just what to do or how to do it. He loved a talk and was never short on words - always ready for a friendly chat or discussions on Red Sox/Yankees or politics. He enjoyed nearly 20 years of parking cars at the "GHO" and catching up with returning friends. A proud patriot, he volunteered his time to assist other veterans or simply sharing stories. He loved and was loved by his kids Julia Schmidt and her fiancé Erik Blair of Cromwell; Kenneth of Avon; and Elizabeth and Jeff Jellison of York. He adored his loving and special grandkids – Randy, Kyle, and Nathan Schmidt; Zoe, Jack, Harper, and Ruby Jellison; Emma and Jonathan Blair. He is also survived by his sisters Mildred White and Cindy (Brian) McGrane, and many nieces and nephews. Ken was predeceased by his wife Deborah, his parents, his brother Clifton W. Crawford. He cherished the special relationships he made in AZ & CT. Ken and his children were grateful for the staff at the Southern Arizona VA Health Care System, particularly those in GECC West, and for the care provided by all in Tucson and CT.
A Mass of Christian Burial will be celebrated on Monday, February 11 at 11:00 am at Saint John Church, 5 Saint John Court, Cromwell. Burial will follow in the State Veterans’ Cemetery where full military honors will be accorded. Family and friends may call on Sunday evening from 5:00 to 7:00 pm at the Cromwell Funeral Home, 506 Main Street, Cromwell. In lieu of flowers, donations in his memory can be made to the Fisher House Foundation. To share memories or send condolences to the family, please visit www.doolittlefuneralservice.com.